We will elect a Board of Directors to continue the good work of the Land Trust, protecting the environment. Please attend to vote and support the Board. After elections we will have as our speaker, Art Horn, Professor of Meteorology, TV weatherman for 25 years and climate change expert. He will discuss weather folklore, rhymes and weather myths. His talk is provocative. Is global warming real? Is climate change real? Join us to learn more! Art earned his degree in Meteorology with honors from nationally acclaimed Lyndon State College. After college he worked in Iran as an on site meteorologist. Upon returning to the US he became a television meteorologist for 25 years working in Portland, Maine; Boston, Massachusetts; West Palm Beach, Florida and Hartford, Connecticut. He was awarded the American Meteorological Societies television seal of approval. Art has published over 75 articles on weather and climate and is a speaker at international climate conferences and other national conventions. He is a professor of Meteorology at Tunxis Community College. Mr. Horn has been self employed for ten years. He is an expert witness for lawyers in weather-related litigation and has provided critical testimony in several trials. He's a regular in the speaking circuit with his entertaining and educational programs about weather. Mr. Horn is from Groton, Connecticut and now resides in Manchester. The East Lyme Bike & BBQ is hosted by East Lyme Parks and Recreation. Proceeds from the event go to the East Lyme Land Trust, East Lyme Historical Society, Friends of Samuel Smith House, and Friends of Smith-Harris House. 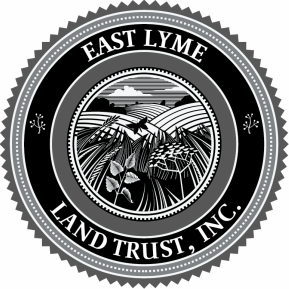 All are dedicated to preserving open spaces and historical places in the town of East Lyme for the community to enjoy. The East Lyme Bike & BBQ to benefit open spaces and historic places invites avid and recreational bike riders alike for a spectacular ride along either a family friendly 9-mile historical house tour, 26 mile, 62 mile, 85 mile, or 100 mile course. The family friendly course will take you to 3 historical houses around East Lyme: the Smith-Harris House, the Thomas Lee House and the Samuel Smith House. Participants are welcome to stop at each house for a rest and tour of the property. For the other courses, there will be checkpoints along the rides for riders to use the restrooms or to refuel. All rides disembark from the beautiful, coastal Rocky Neck State Park located in Niantic, CT just off of exit 72 on I-95. The courses will head north along the canopy covered roads of southeastern Connecticut and will exhibit some moderate to difficult hill climbs. All courses will circle back to Rocky Neck where mouth-watering BBQ from Mago Point Smokehouse will be served to top off the day. * Registration Prior to September 25th: $65/rider (Teams of 5 or more registering together will receive a $5/rider Discount). At the conclusion of the ride, all patrons with a meal ticket will be treated to gourmet BBQ provided by Pitmaster, Pete Deversa, of Mago Point Smokehouse. The meal will include Pulled Pork, smoked chicken, veggie burgers as well as sides. Mago Point Smokehouse is set to open in the Spring of 2017, in the Mago Point section of Waterford, CT. Please join us! There are proposed changes to the by-laws that require membership approval. Your attendance is important. Following the membership meeting, Mr. Art Carlson will give a presentation on the background and current status of the Town of East Lyme's Conservation objectives. As the primary land conservation group, we are using this plan to target which areas the Trust should place their efforts to obtain and protect with conservation easements. EAST LYME AQUIFERS & WATERSHEDS: WHERE ARE WE GOING? Come learn more about the aquifer and watershed system that exists in East Lyme. Speakers from the New England Forestry Foundation will discuss the Niantic Headwaters Project and caring for a forest with the primary goal of protecting drinking water sources. Following will be a presentation from the East Lyme Conservation of Natural Resources Commission. Maps showing the location of our drinking water supply that is our aquifer and watershed will be reviewed. The interaction of people and land will be discussed, along with what we can do to protect our drinking water. Can you think of a piece of open space that was finally secured (usually after a long, heated fight) that the next generation regretted? Come learn the answer, you might be surprised! East Lyme Parks and Recreation is holding this event to raise money for local historical properties and open spaces in East Lyme and Niantic. The three historical properties benefiting from this event are: the Smith-Harris House, the Samuel Smith House, and the Thomas Lee House. Proceeds will also benefit the East Lyme Land Trust. All routes will be marked on the road, and have turn sheet provided. The East Lyme Bike & BBQ will proceed rain or shine. Please be aware of the day’s forecast so you can prepare accordingly. If dangerous weather is impending, registrants will be notified via the email provided and a notice will be posted on the website. Come learn more about the new era of the Land Trust, and the progress we've been making to secure land in our region. Board President Ron Luich will lead the discussion on our conservation goals moving forward, which will tie into a drinking water presentation given by board member Art Carlson.